TORONTO - Canadians greeted the choice of a new Pope with cheers and congratulations Wednesday, though a small contingent expressed regrets that the Catholic Church's 266th leader wouldn't be one of their own. Messages of goodwill began pouring in from religious and political circles alike moments after the pontiff's identity was revealed and continued to be issued as the news spread. Prime Minister Stephen Harper welcomed the newly elected Pope Francis, whom he said "will play a critical role as the leader of the Catholic Church as it faces the challenges of the 21st century." "It is my sincere hope that Pope Francis’s faith, devotion and conviction will foster greater peace, understanding and tolerance among the peoples and religions of the world,” Harper said in a statement. Among the first to offer prayers and congratulations was one of the Canadian cardinals involved in electing the new pontiff. Cardinal Thomas Collins, the Archbishop of Toronto, congratulated the Pope in a statement issued by the archdiocese minutes after the announcement from the Vatican. The archdiocese said its members will pray for the Pope's "spiritual strength, wisdom and humble example" and is confident "he will guide the Church for years to come." The United Church of Canada also offered its congratulations to the new Pope, formerly known as Cardinal Jorge Mario Bergoglio. "May all people of faith and goodwill join hands in solidarity with the new Pope in the common pursuit of caring for one another and for all of creation," Right Rev. Gary Paterson, moderator of the church, said in a statement. 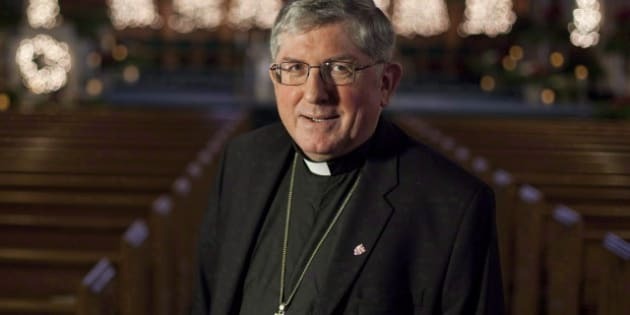 The Archbishop of Edmonton, who serves as President of the Canadian Conference of Catholic Bishops, sent a letter of congratulations to the new pope soon after his selection was announced. "May the Holy Spirit pour out upon you in abundance all the gifts you need to be our “rock”, our sure foundation, and to strengthen all your brothers and sisters in the faith," wrote Richard W. Smith. Meanwhile, the Archbishop of Vancouver greeted the news with “absolute delight,” saying the new pontiff will embody the church's commitment to the poor and disenfranchised. That the 266th pope is from Argentina may come as a letdown for those who had hoped for a Canadian pontiff. Quebec Cardinal Marc Ouellet was considered one of the top contenders to replace the retired Pope Benedict XVI, who unexpectedly stepped down last month. Ouellet, 68, who is from the hamlet of La Motte located about 600 kilometres northwest of Montreal, heads the Vatican's important bishops' office. Carlo Tarini of Quebec's Association of Victims of Priests said the group is "disappointed" Ouellet will not succeed Benedict, but said the cardinal is still young and "may yet get a second chance." "Had (Ouellet) been selected this would have facilitated the path of Quebec’s victims," Tarini said in a statement. "The international spotlight would have shined on cases that are dragging before the courts in Mgr. Ouellet's home province as well as in his former diocese of Quebec." But those in the church said they trusted in the conclave's decision. Rev. William McGrattan, the auxiliary bishop of Toronto, said his support for the Quebec cardinal hasn't faltered. "Am I disappointed? No," he said Wednesday afternoon in a news conference at St. Michael's Cathedral. "I think we have to sort of realize that there are sometimes, at a human level, disappointments, but men of faith, they trust that God has chosen well," he said. "In many ways, maybe the world and the media had selected others, but God and the Holy Spirit and the human instruments in the College of Cardinals chose under that inspiration." Meanwhile in Quebec, a famous member of the chattering class reacting to the news expressed a view frequently heard in the province — one of disdain for the church in general, and for the conservative cardinal Ouellet in particular. "I'm thrilled the pope isn't a Quebecer," tweeted Guy A. Lepage, the host of the popular talk show Tout le monde en parle. "I wouldn't have liked the move backward into the last century." The new pontiff is the first from Latin America and the first from the Jesuit order. The 76-year-old archbishop of Buenos Aires asked the crowds in St. Peter's Square for their blessing as he addressed them shortly after the cardinals announced their choice. Interim Liberal Leader Bob Rae commented on the significance of the new pontiff's background as he offered his congratulations. "We are witnessing a truly historic day, as this marks the first time the Church has been led by someone from outside of Europe," he said in a statement. "By all accounts he is a man of deep compassion and wisdom, and takes on this responsibility at an important time." NDP Leader Tom Mulcair touted the Pope's "very important role" in "building bridges of faith among believers around the world." Alberta Premier Alison Redford also offered her congratulations. “I know the election of Pope Francis as the new spiritual leader of the church will be an inspiration and blessing to Alberta’s nearly one million Catholics," she said. Ontario Premier Kathleen Wynne said the cardinals' choice "reflects the changing landscape of our times." Meanwhile, British Columbia Premier Christy Clark called the Pope "a world leader of truly global influence." "The Holy Father's choice of the name Francis is wonderful. Saint Francis Xavier worked tirelessly to broaden the Church's horizons beyond Europe - a fitting choice for the first Pope from the Americas," she said. Canadians also reacted to the news online, flooding social media sites with their thoughts on the decision. "First ever pope from the Americas! And a Jesuit! Our Prayers are with him," tweeted the Canadian Council of Churches. "Viva Pope Francis! On behalf of the Diocese of Calgary, we shout "Praise to the Lord!" tweeted the Archdiocese of Calgary. The new pope has spent nearly his entire career at home in Argentina, overseeing churches and shoe-leather priests. He is known for modernizing an Argentine church that had been among the most conservative in Latin America.